The Ship’s Company Theatre in Parrsboro, Nova Scotia is seeking a dynamic individual to join our small team as Marketing Manager. 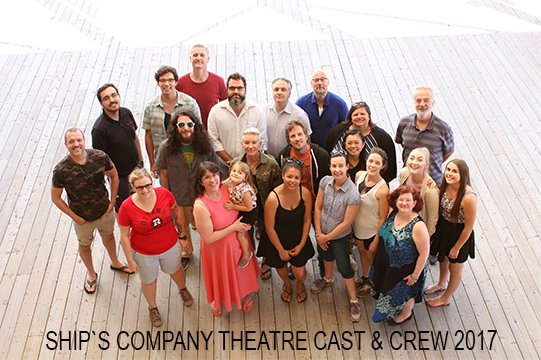 Ship’s Company Theatre has been developing and producing new Canadian work for over 30 years offering a season that runs from May through September. With an annual operating budget of close to $400,000, Ship’s Company Theatre has produced two Main Stage shows annually, various presenting activities including a Concert Series, Second Stage, Kid’s Stage, and Reading Series, as well as hosting drama and music camps. Reporting to the Artistic Producer, the Marketing Manager leads the Theatre’s marketing, communications and sponsorship initiatives while overseeing Front of House, media and publicity. As part of the management team, the Marketing Manager strives to deliver a balance between marketing expertise and engaging sponsors, patrons and volunteers to ensure community investment, revenue growth, excellent patron services and promotion of the Theatre. Experience and skills are required in marketing, publicity, and fundraising, as well as effective communication skills, and experience working with volunteers. Experience working with theatre would be considered an asset. Champions the Theatre’s marketing and promotion initiatives. Builds positive relationships with local businesses, members, volunteers, and sponsors. Oversees media and publicity, Front of House, sponsorship and fundraising activities. Contributes to achieving a safe, fair, encouraging and dynamic workplace. Seeks opportunities to reach new sponsors, increase membership and engage volunteers. Manages the Theatre’s brand, social media and online presence, ensuring consistent messaging. Compensation for this position will be dependent on experience. This position is a year-round position including full-time hours May — October and part-time hours with considerable flexibility November — April. Ship’s Company Theatre welcomes applications from qualified individuals of all cultural backgrounds, genders, sexual orientation, and abilities. Interested individuals should forward a resume and cover letter by email to shipopportunities@gmail.com with the subject line: Marketing Manager. Deadline for receipt of applications is March 6, 2019 by 6:00pm AST. In preparation for the 2019 summer season the Ship’s Company Theatre will be holding general auditions in Halifax on March 25, 2019. The season has not yet been announced, but the full season line up will be available as of March 24, 2019. Please check our website at that time for more information regarding all our shows. Please note that only those artists who are invited to audition will be contacted to set up an audition time. Please prepare two contrasting contemporary monologues with one being by a local or Atlantic playwright, totaling no more than four minutes total. If you have a special skill, we’d love to hear about it / see it! For the General Auditions, we please ask that no agent packages be sent, as we value the artist’s individual voice in a letter. The deadline for submissions to be received is 6pm, March 15, 2019. Every year Ship’s needs a crew for its Summer Season. We are currently looking for Production Management, Stage Management, Technicians and Crew. Contracts vary, running June – August, Equity & PACT house, looking to cast the net wide to be more equitable and inclusive.